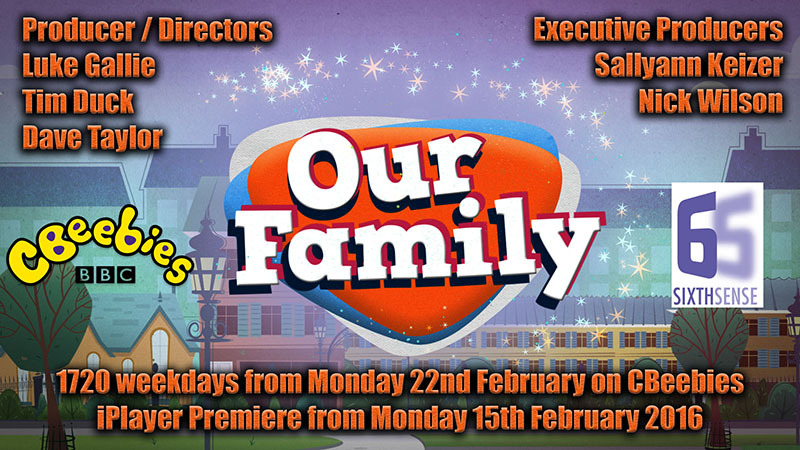 We’ve been working hard over the past year on our new series for CBeebies and are excited to announce that Our Family will start transmitting daily on the Channel from Monday 22nd February 22 at 1720, with a preview of the first episode available on the iPlayer from Monday 15th February. Shot from the perspective of the child, the show captures the warmth and love of being part of a family. The 8 young stars of the shows come from across the country and reflect the beautifully diverse nature of the UK. Featuring a single parent, a step-family, an only child, a stay-at-home dad and hands-on grandparents, we thank all our wonderful families for their amazing contributions!